Wholesale pricing appears once you are logged in as a Registered Wholesale customer. You must be signed in as a wholesale customer to access wholesale pricing. Minimum requirements for ordering using wholesale rates: Minimum number of units: 12. Minimum dollar amount: $300. 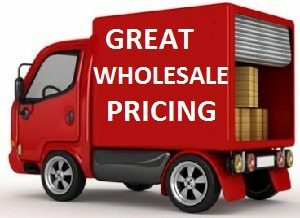 You must meet both criteria to be able to checkout wholesale pricing. Thanks! If you need assistance with a wholesale order, please call Garey 443.852.1000.